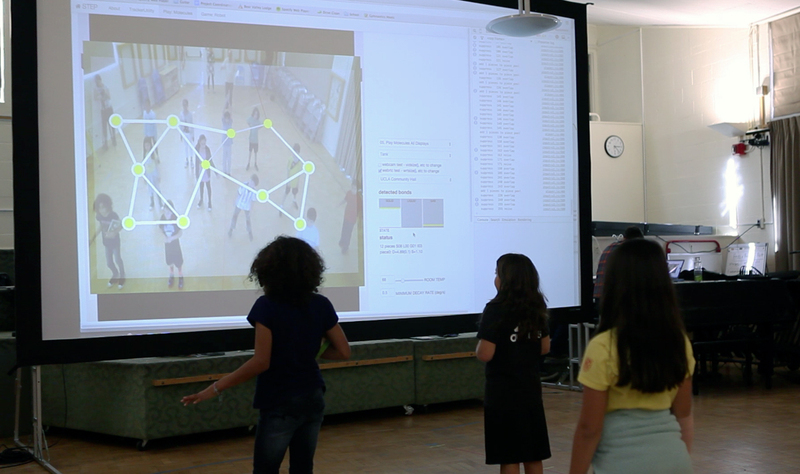 In September 2014, a prototype deployment of OpenPTrack was installed semi-permanently in UCLA Lab School’s Gregg G. Juárez Community Hall, using seven Kinect 1, one stereo camera pair, and two Mesa SwissRanger 4500 imagers. 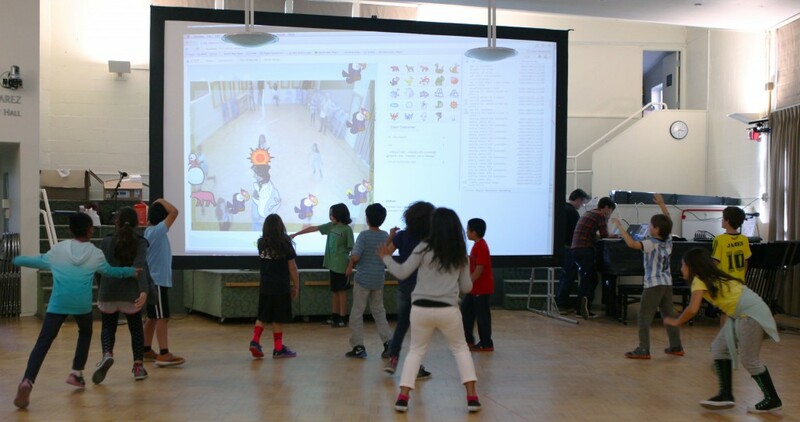 The installation will support the NSF-funded Science Through Technology Enhanced Play (STEP) project, creating a physically interactive educational space for embodied play. STEP is led by Noel Enyedy of the UCLA Graduate School of Education and Information Studies, as a collaboration with Joshua Danish (Indiana University) and UCLA REMAP. REMAP is currently performance testing OpenPTrack with the installed hardware and integrating the sensing system with web-based simulation software being developed by Inquirium. This installation provides experience and motivation to improve detection and tracking approaches for kids. Additionally, it is driving enhancements and new hardware options to support larger spaces. When the system is complete, Community Hall will have a tracking area of over 1000 sq ft.
Development and testing of the STEP system, including OpenPTrack, is ongoing, with in-class pilots scheduled for February and March 2015.